Belgrade-based Svetlana MaraÅ¡ posts a work no longer in progress. 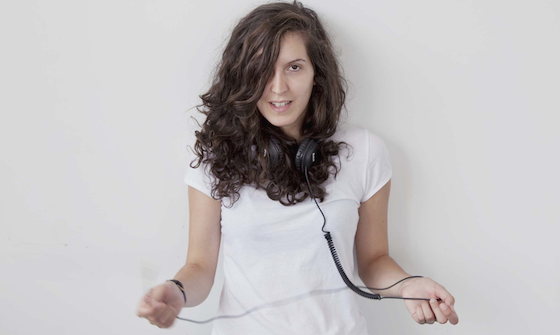 Svetlana MaraÅ¡, who is based in Belgrade, Serbia, has been filling her SoundCloud account with bits and pieces of film scores and sound design projects, some finished, others from efforts that never reached completion, stalled at unforeseen junctures. Five shared fragments of trumpet soundings and quotidian atmospherics are sourced from one of the uncompleted ones, which MaraÅ¡ describes as “a beautiful, experimental film by a Finnish director.” She writes, “Unfortunately, the film never went into the post-production and was never finished. However, the soundtrack remains.” These include two “soundscapes” and three three spots of trumpet, the latter of which blur the line between soundscape and sound design by emphasizing tone and the slurry space within notes over melody. The room in which the music was played is as much a part of the recording as is the trumpet itself. She lists the constituent elements as “Trumpet, objects, glitch, noise,” and references Nenad MarkoviÄ‡ as the trumpeter. MarkoviÄ‡ plays the trumpet, while MaraÅ¡ plays the room. Set originally posted at soundcloud.com/svetlanamaras. More from MaraÅ¡ at svetlanamaras.com. More from MarkoviÄ‡ at nenadmarkovic.net. One-Track Mind: SoundCloud recently added a “repeat single track” function to its web player. This means that if you’re listening to something on SoundCloud you can click a button to have it repeat when it ends, rather than have the service automatically move on to another track. This is a very welcome turn of events. When it comes to audio streaming, we often don’t really hear something the first time we hear it, and often get lost in the continuity. The ability to repeat a single track in some ways having a chance to really pay attention through repetition. Replicant Soundscape: Speaking of listening on repeat, this following track has been online since August, but I only just learned of it via an io9.com post about a related subject. The account of “crysknife007” on YouTube is filled with great “ambient geek sleep aids” such as the sound of the Starship Enterprise’s engines running for 24 hours straight. What follows is the sound of Rick Deckard’s apartment in Blade Runner playing for half a day, so you can imagine you’re a cyberpunk gumshoe when you’re really just sitting at home paying some bills. Though YouTube comments are rightly avoided, a useful follow-up to the track did note that this same sound was later used in Alien for the Nostromo’s medical bay. New Heights in Eavesdropping: A thorough overview of the U.S. government’s system “Automatic Speech recognition in Reverberant Environments,” aka ASpIRE, an advance speech-recognition tool. This first appeared in the December 2, 2014, edition of the free Disquiet email newsletter: tinyletter.com/disquiet. â—¼ Martinez + Refn + Thailand: Perhaps not every sequel that relocates to Thailand is a disappointment. 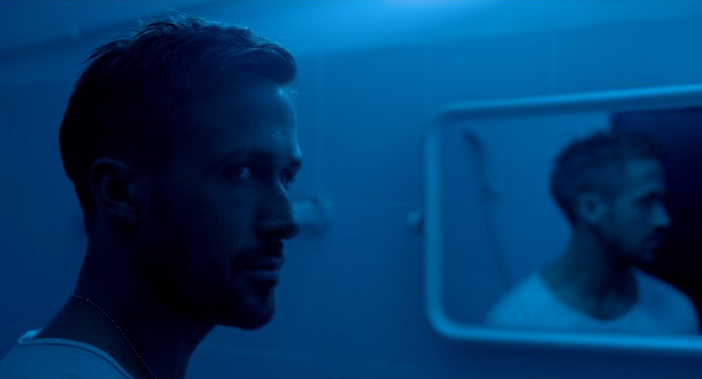 The score to Only God Forgives (screen shot above) by Cliff Martinez (film directed by Nicolas Winding Refn) is streaming in full at pitchfork.com. Martinez scored Refn’s previous movie, Drive. Working with Martinez are Gregory Tripi and Mac Quayle (who between them collaborated with him on such films as Contagion, Arbitrage, Spring Breakers, and Drive). There’s also Thai pop music, and two of the Martinez tracks are orchestral works performed by the City of Prague Philharmonic Orchestra. The movie is set in Bangkok and stars Ryan Gosling and Kristin Scott Thomas. A less than promising report by Manohla Dargis (at nytimes.com) from the Cannes Film Festival notes the centrality of wallpaper to the movie: “There are a lot of opportunities to examine that wallpaper with its repeating pattern ”“ nonfigurative swirls with teethlike serrations suggestive of a dragon.” The description could apply to the pulsing, ambient Martinez score as well. More on the exhibit at drexel.edu. The show runs from July 5 through July 21, 2013.
â—¼ Listen About Listening: Seth S. Horowitz, author of The Universal Sense: How Hearing Shapes the Mind, is interviewed on kuow.org about how to be a better listener. Horowitz is the chief scientist at neuropop.com, a sonic consultancy. He has an account at soundcloud.com/universalsense. â—¼ Flora Magic Orchestra: Ryuichi Sakamoto unveils his Forest Symphony at the elegant forestsymphony.ycam.jp website: “Ryuichi Sakamoto will produce music on the basis of bioelectric potential data gathered from trees around the world. In line with this potential data, environmental information of each tree’s distribution will be added and the tree’s link with the music will be presented visually under the visual direction of Shiro Takatani.” It’s part of the 10th anniversary of the Yamaguchi Center for Art and Media. â—¼ Sound Art Summer Camp: If you’re in the Dallas, Texas, area and are (or have) a pre/teen, there’s a sound art summer camp. It runs from July 15-19, 1-4pm, and is for ages 10-18: “During this camp, students will learn to make a self-portrait by recording and combining the sounds of their daily lives.” More on the camp at oilandcotton.bigcartel.com. The series is run by Chaz Underriner, more from whom at chazunderriner.com. Found via the “moms” section of dmagazine.com. 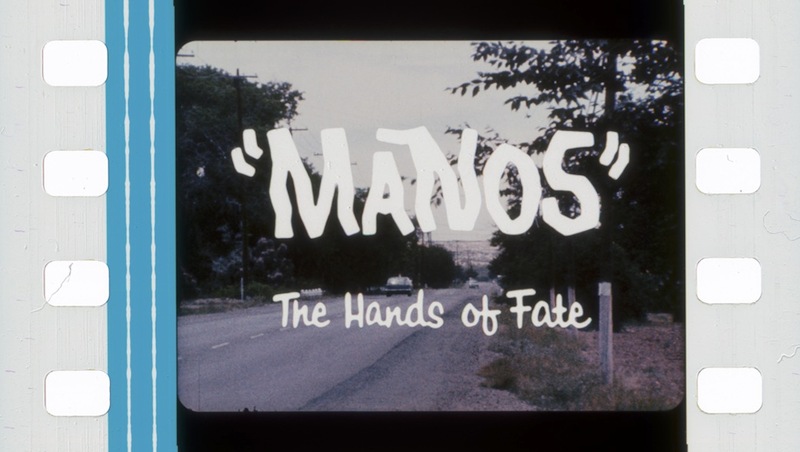 The Project: Remix music from the movie Manos: The Hands of Fate (1966) to make a downtempo instrumental. This assignment was made in the evening, California time, on Thursday, July 4, with 11:59pm on the following Monday, July 8, 2013, as the deadline. Step 1: Role a die six times and add the results. Step 2: Role the die once and subtract this from the amount resulting from Step 1. If the result is zero, then start again at Step 1. Length: Your piece should be between two and five minutes in length. Title/Tag: Include the term “disquiet0079-juntofate”in the title of your track, and as a tag for your track. Download: Per the license of the source material and the rules the contest, you should employ the BY-NC-SA Creative Commons license (i.e., a Creative Commons license permitting non-commercial sharing and remixing with attribution).